When someone visits your pharmacy, it’s not usually because they’ve gotten good news. They’re sick, tired, cranky, and — on occasion — even confused or a bit scared. If your pharmacy isn’t designed well, the time you could be using to put their minds at ease is instead wasted on repetitive tasks, leaving customers to cool their heels and wonder if they should, perhaps, have visited your competitor across town. It important that you maximize every square foot of your space. The lessons below are distilled from our years of experience in the design field. 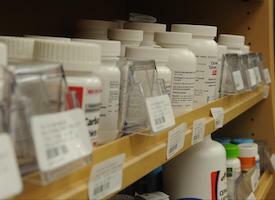 Effective pharmacy sales are, after all, retail sales much like in any store. 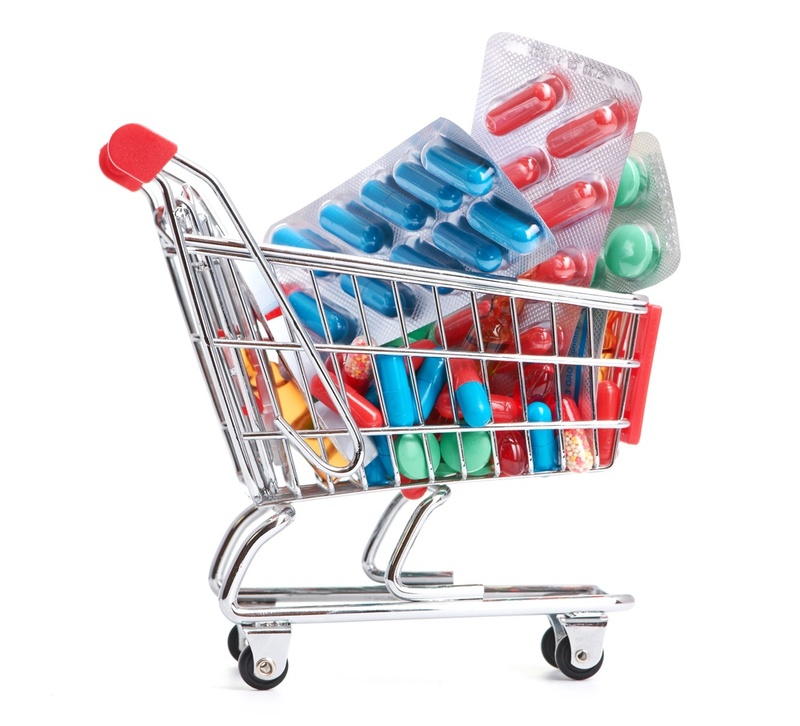 Although, as an independent community pharmacy owner or manager, it may be tempting to fall back on the sale of prescription medications to boost your store earnings, the fact is that gross margins on prescriptions are dropping for most stores, lowering profits, while front-end sales continue to be strong and stable. This is according to the National Community Pharmacists Association (NCPA). You are probably wondering why your sales are slowing down. What could you possibly be missing? 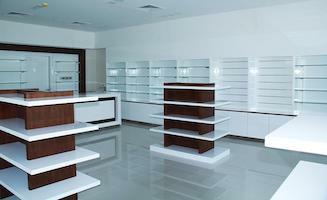 What are the considerations you need to make for a new and modern pharmacy design? 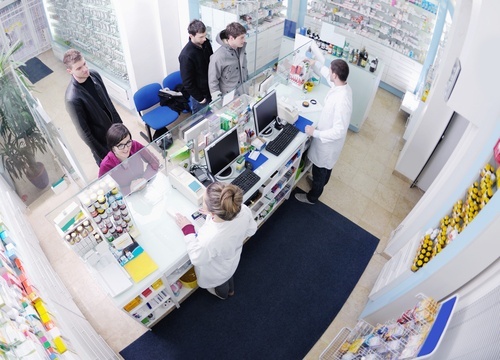 As a pharmacy owner or manager, improving the safety and security of your pharmacy is a topic that should be of continual concern and something that is affected by nearly every aspect of your pharmacy design. From the doors and windows that present potential entryways for after-hours would-be intruders to the safe storage of narcotics in the dispensing area, safety and security must remain of prime importance. Ensuring the safety of patients coming to you to have their prescriptions filled is also a main area of concern, not only from the standpoint of guarding against dispensing errors but also having the necessary information to preclude any potential adverse drug interactions. Modern pharmacy design has come a long way from the traditional beige and white colored, linoleum-floored, fluorescent sterility so common in the big-box stores so prevalent in many American communities. 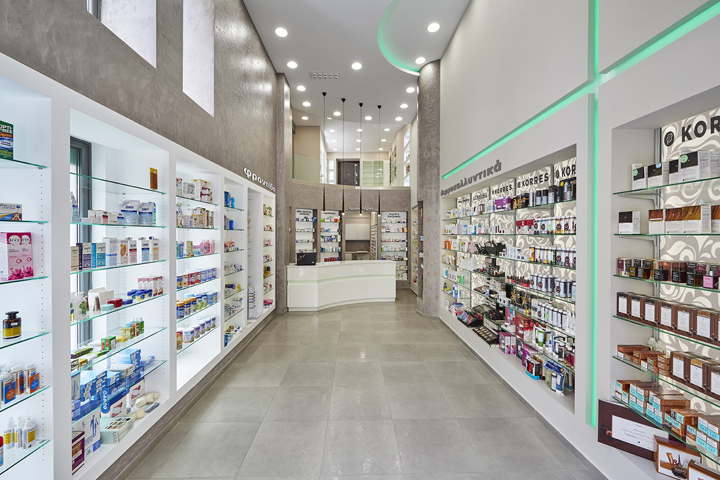 Thanks to a new focus that independent pharmacy owners and managers have adopted, often as a way of helping them stand out from the large chain-store drugstores, pharmacy design has started taking into account the feelings of the customer. Many are striving to create a shopping environment that's homey, comforting, responsive and ultra-service oriented. There are lots of things that go into creating a kind of store where people enjoy their shopping experience enough that they're happy to come back often and anxious to share the experience with friends and family. Consider some of these. 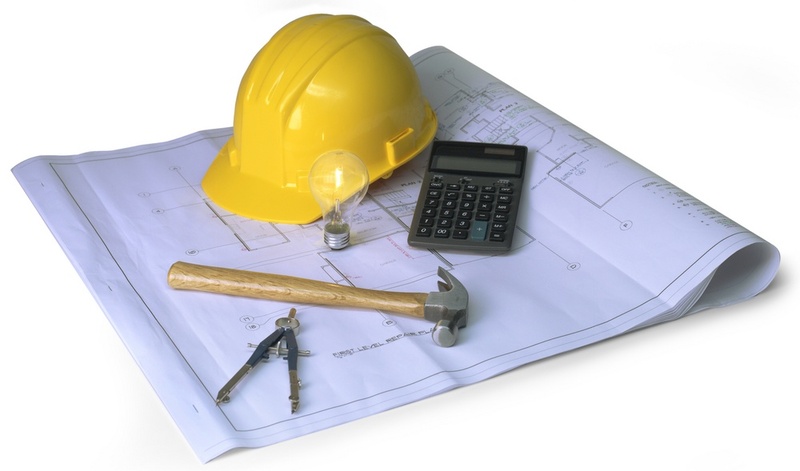 Often, when a pharmacy is being built or remodeled, the pharmacy design doesn't take into account the importance of shelving and other fixtures at the beginning stages of the project. 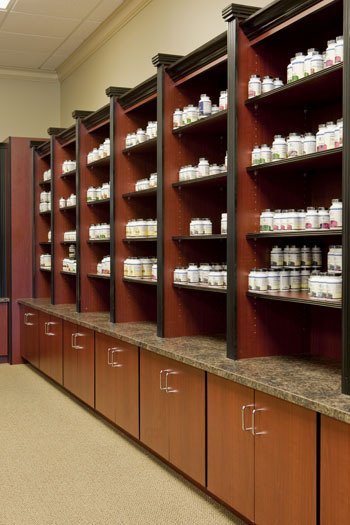 Shelves are a major part of your pharmacy design configuration, and by leaving them as an afterthought to be fit in at the end of a build, you end up short-changing yourself as to their total functionality potential. 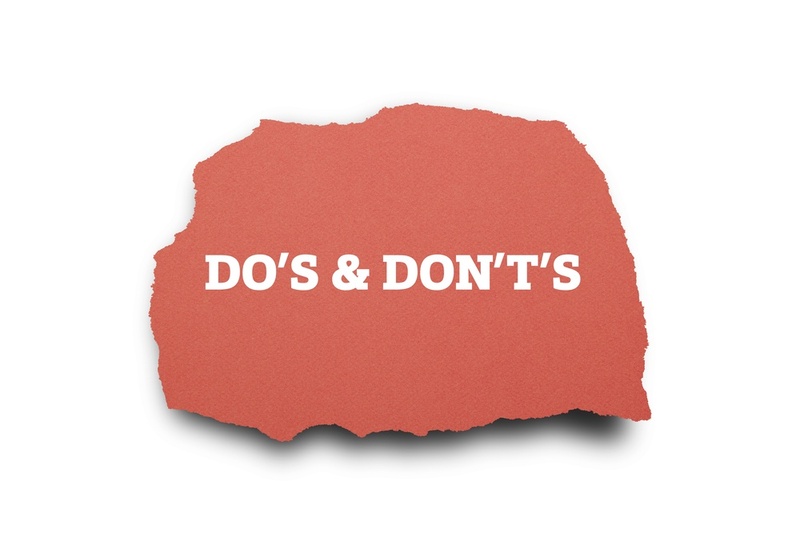 Medicines in your retail pharmacy will generally be sectioned off into two areas—prescription medications in the rear end behind the dispensing counter and OTC medicines out in front where customers can access them directly. 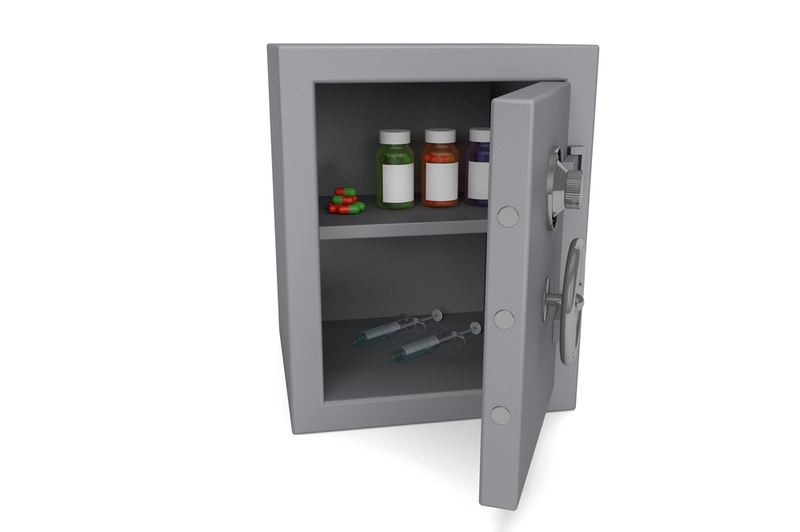 Drugs in the back end are stored with an eye toward security and ease of access for technicians and pharmacists making up various prescriptions. Over-the-counter drugs, however, are usually displayed out front in such a way that customers will be easily able to locate them without assistance. 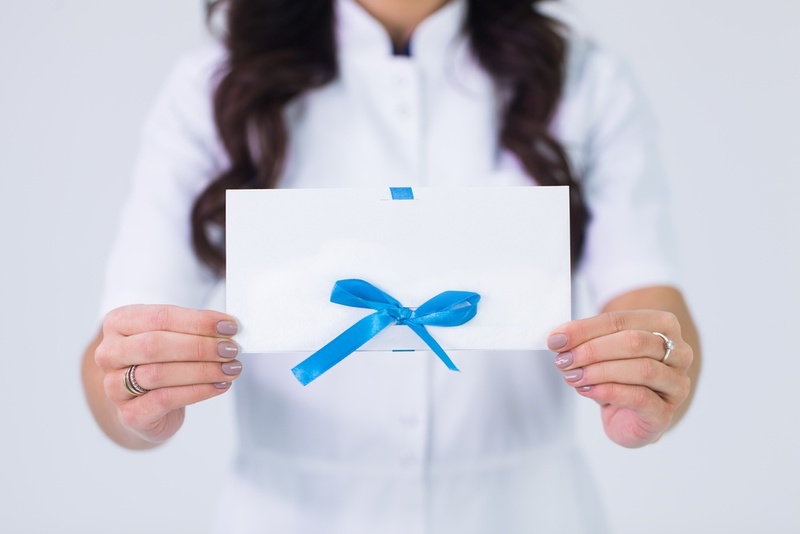 While the name "pharmacy" denotes a place involved in the activity of distributing pharmaceuticals, which is typically the main income source for businesses of this type, there are lots of other things your particular pharmacy may do besides drug dispensing. This includes the sale of various types of retail items, from perfumes and cosmetics to food products, greeting cards, magazines, baseball caps, reading and sunglasses or, really, anything else that would likely sell off a store shelf.